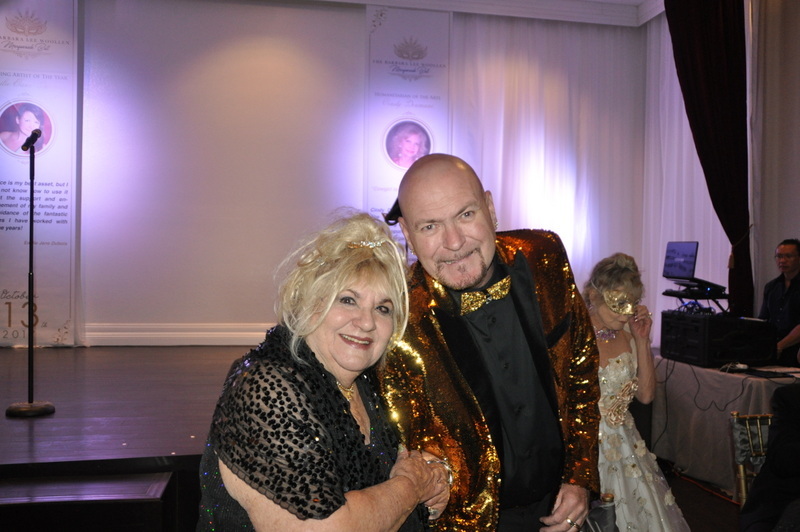 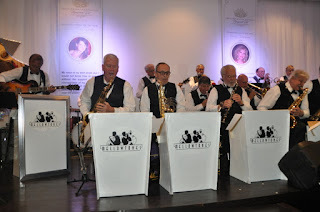 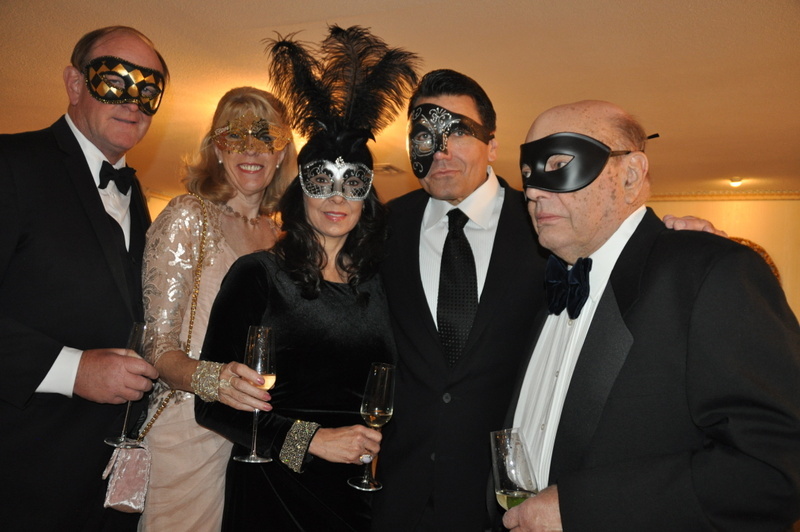 Martyn J. Ravenhill and Barbara Lee Woollen held a Masquerade Ball on October 13, 2017 at the Liberace Mansion with the proceeds to benefit the missions of The Bruce and Barbara Lee Woollen Foundation and Friends of the Liberace Mansion Foundation. 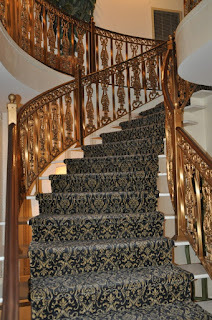 The foundations continue to provide scholarships and education to new artists and they also donate to local and national charities, among them Las Vegas Make-A-Wish, Habitat for Humanity, Las Vegas Academy of the Arts and many more. 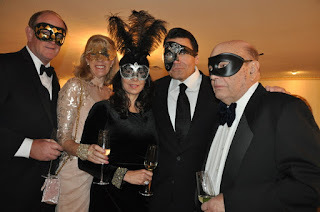 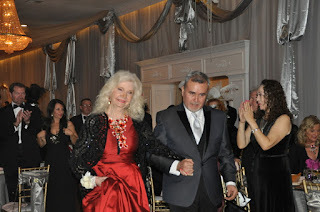 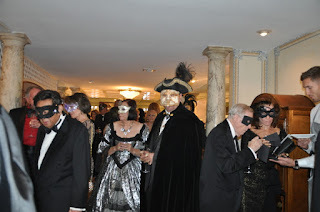 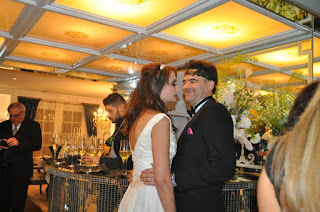 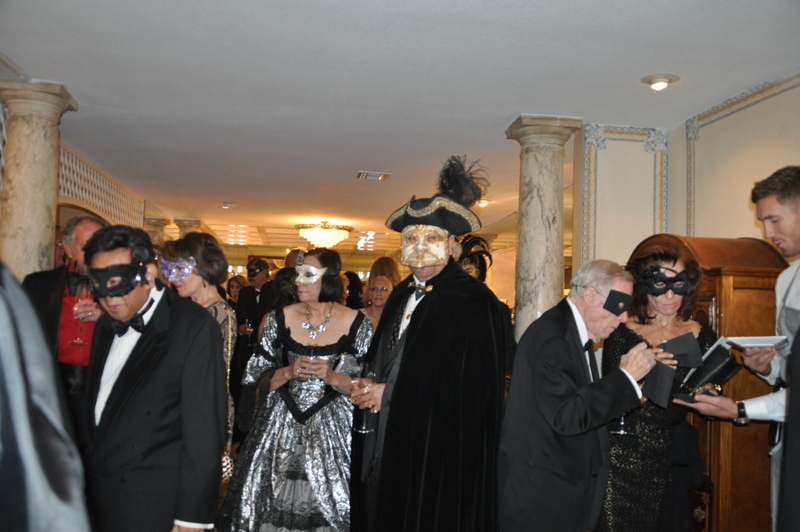 Black tie, Ball Gowns and Masks filled the ballroom to honor Cindy Doumani who received the Humanitarian of the Arts Award from the SPCA for her love and protection of animals. 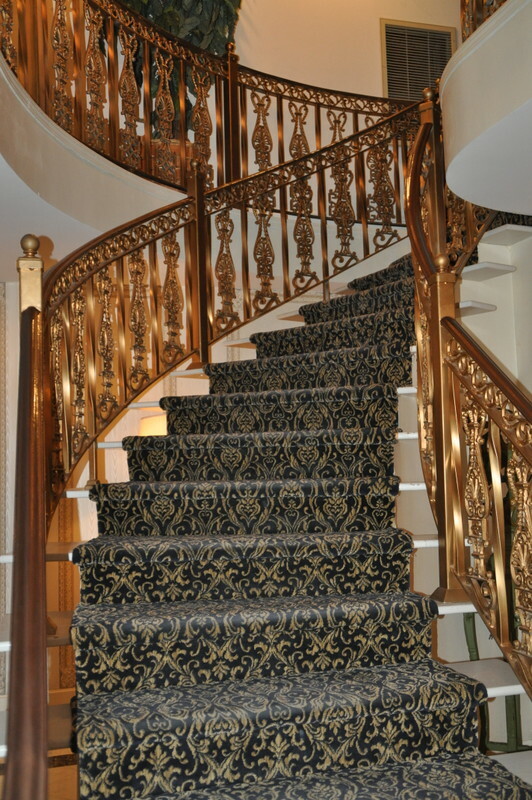 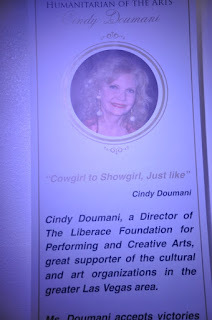 Cindy is a board member of the Liberace Foundation and on the advisory committee to the Academy of Arts and the Las Vegas Walk of Stars. Cindy has her Walk of Stars in front of MGM Hotel. 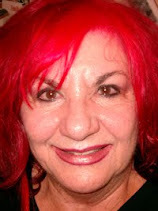 For the past 50 years Cindy Doumani has always been concerned about children and animals and is greatly admired by her friends and family and loved by the community and all that know her and I am honored to be her friend. 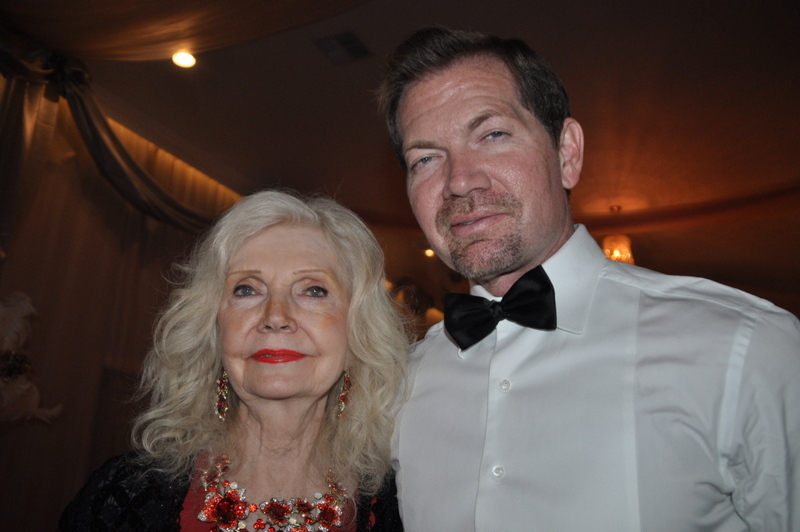 Her sons Fred Doumani Jr. and Ronnie Doumani are as proud of her as is her entire family. 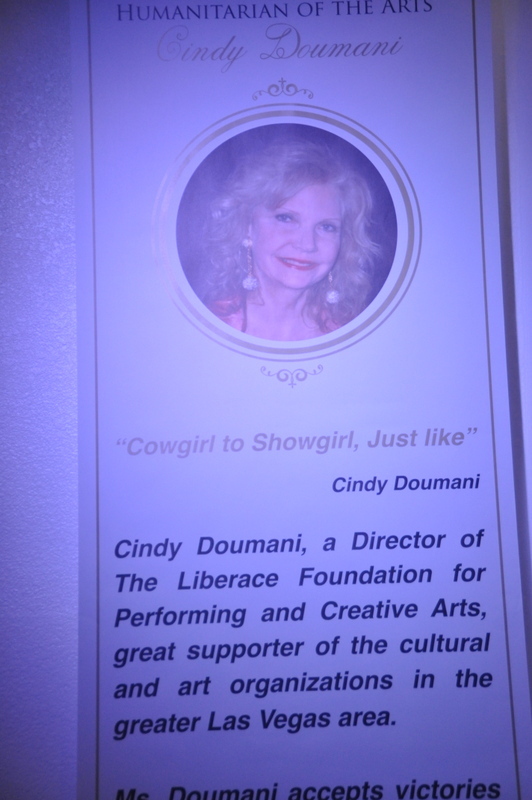 A documentary “Cowgirl to Showgirl”, based on her life will be released next year and it is being produced by Donna Dondino Melchiore. 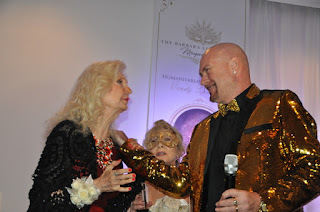 It is a fabulous documentary.